Today's featured online design plan is a recent project we just wrapped up for Bob, Maria and their kids. Our goal was to give them a fresh, updated and current Family Room design that could be a jumping off point for the rest of their new home. To begin, we suggested painting the walls a color similar to this modern gray color from Sherwin Williams; Agreeable Gray. For the fireplace, we recommended a makeover to update the surround. Replacing the existing red brick with stone would give the entire space a fresh new look. If replacing the stone is too much for the current budget, than we suggested painting the brick warm white for a quick interim fix. This is a great and inexpensive way to update the room until new stone work is in the budget. We recommended using the bottom wall as a place for a large family photo gallery. We suggested that they mix and match different photo frames in with photo canvases to give the wall interest. 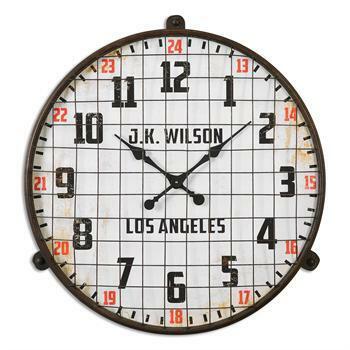 We even added art and decorative pieces like this large iron clock from my home decor collection into the mix. 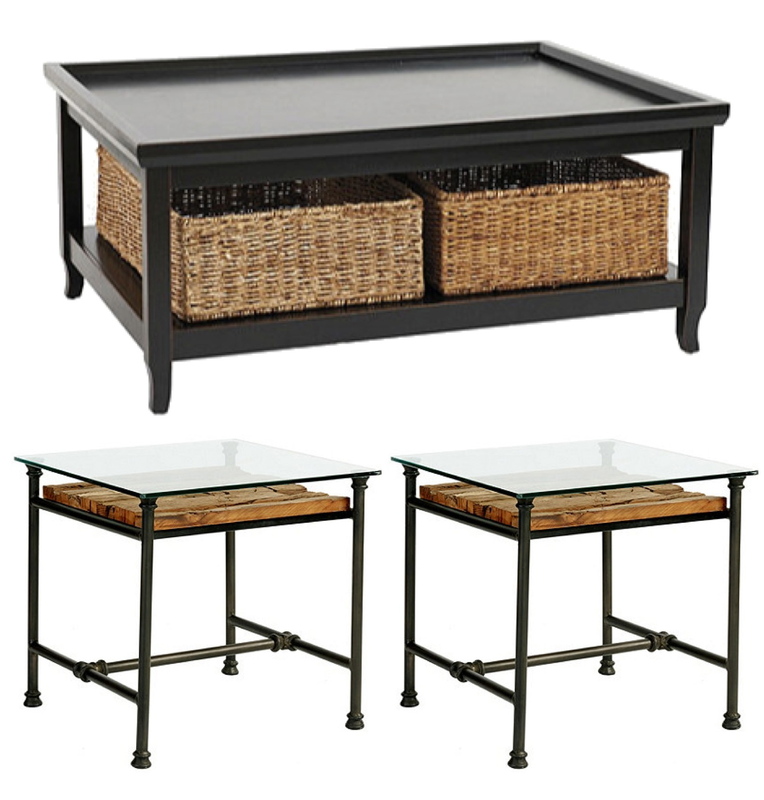 For the coffee table, we selected this large table with storage underneath from Ballard Designs. The black painted finish is stunning. To complement the new coffee table, we chose these spectacular end tables with the most amazing wood shelf detail. 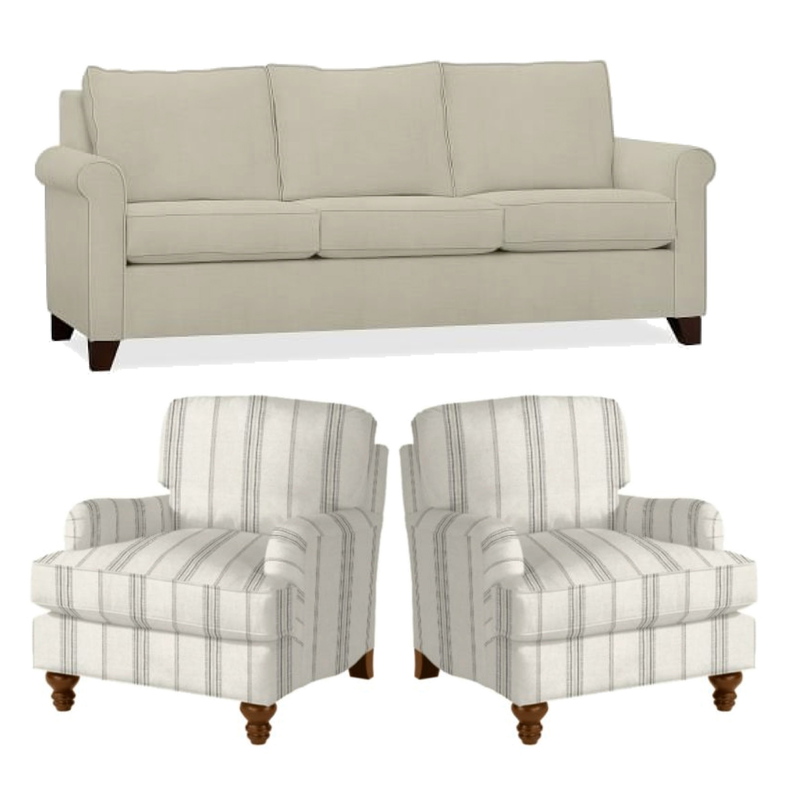 We incorporated new sofas from Pottery Barn and two accent chairs from Ballard as the main furniture pieces. We brought in two bookcases and placed one on either side of the window. 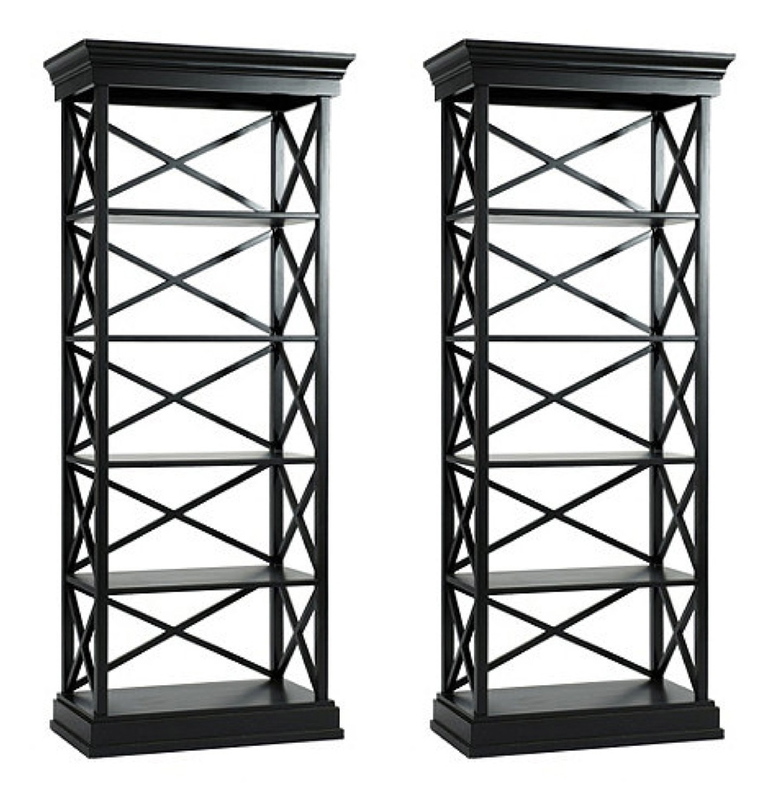 These bookcases from Ballard will be amazing for extra storage and display, they will also anchor this side of the room. 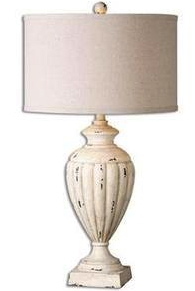 Beautiful accent lighting is provided by these charming, large scale, ivory distressed lamps from The Yellow Cape Cod home decor boutique. For personality, pattern and color we applied this mix of pillows on the upholstery. 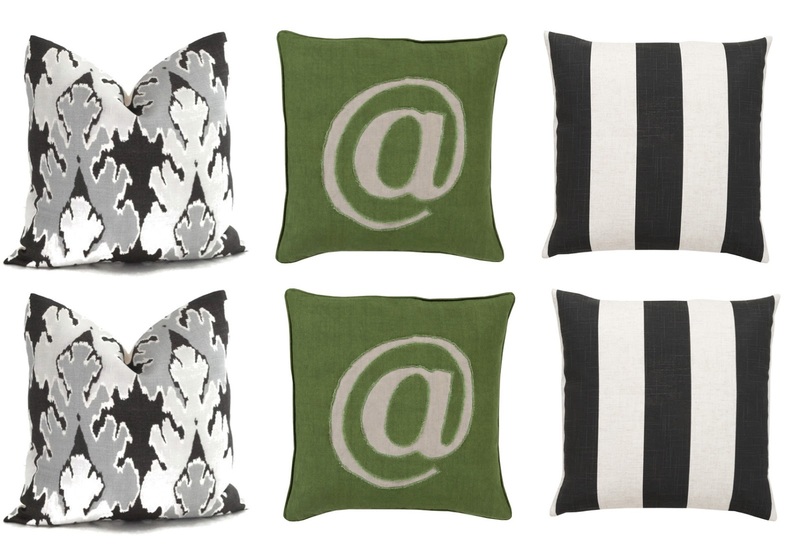 Pillows are a simple and inexpensive way to add excitement to the room. Adding a pop of color through pillows can easily be interchanged when the room needs a quick face lift. 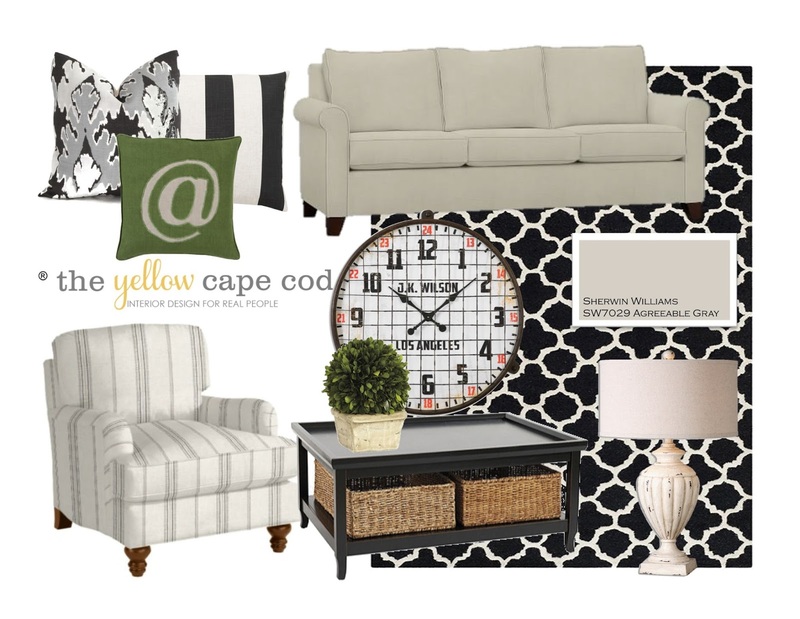 To ground the seating area, we introduced a large black and white area rug. A large rug is an easy way to cozy-up a sitting area. 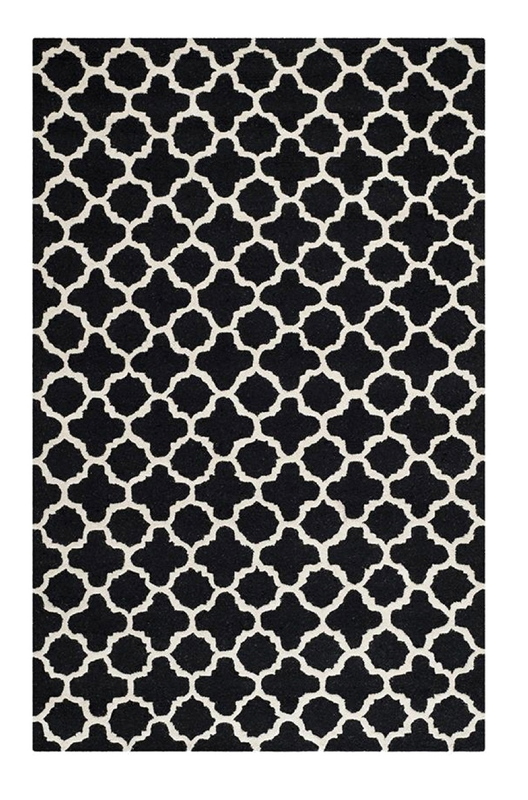 This rug brings a great, eye-catching graphic quality to the design that lends a contemporary feeling. 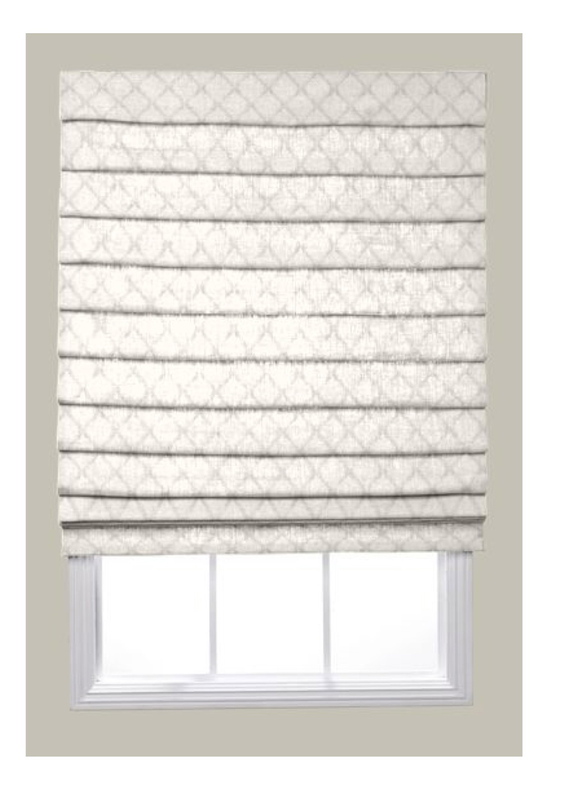 For the windows, we applied custom roman shades. This treatment is ideal when you have tricky windows similar to the corner windows in this space. We suggested keeping the fabric light and bright similar to the diamond pattern shown here. In addition to the items shown in this post, there were more recommendations and specific product selections provided in this custom design plan. Additional furniture and accessories were included in order to deliver a complete, professional, ready to implement room design. 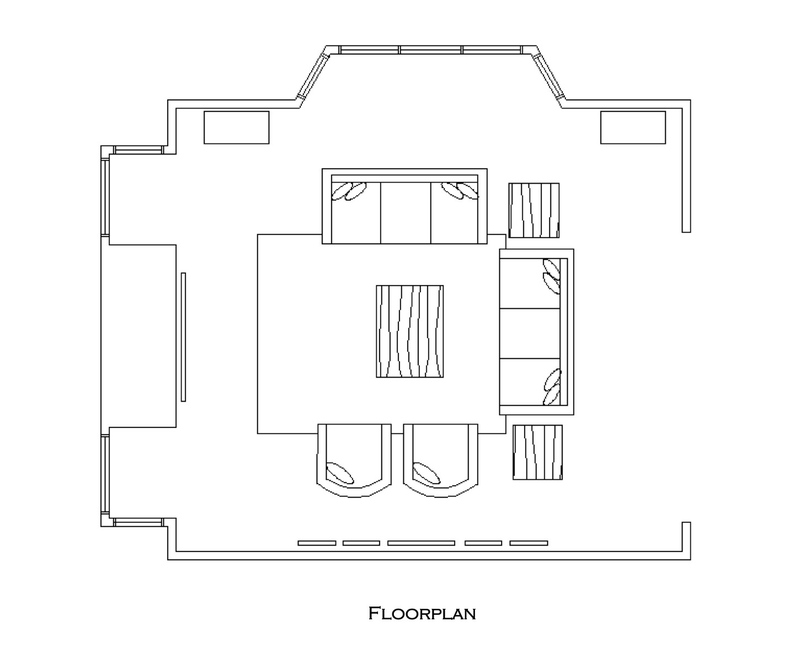 If you would like to get started on an online design plan for your home, I currently have a few openings. Now is the time to make your reservation before we are full, spring is right around the corner and it's our busiest time of the year. Thanks for stopping by. One of my favorite rooms I've seen lately! I love the black & pops of green & the table with the brown baskets, striped chairs ,oh & the pillows...Well basically I guess everything haha!!! Something about this space is spot on!! I love this design! Such a classic yet updated look.